I’ve had a lot of people e-mail me and ask me about juicing (which is a no-no). When they make the switch to a ketogenic diet, they’re missing the shakes and smoothies that they used to make themselves in the morning. 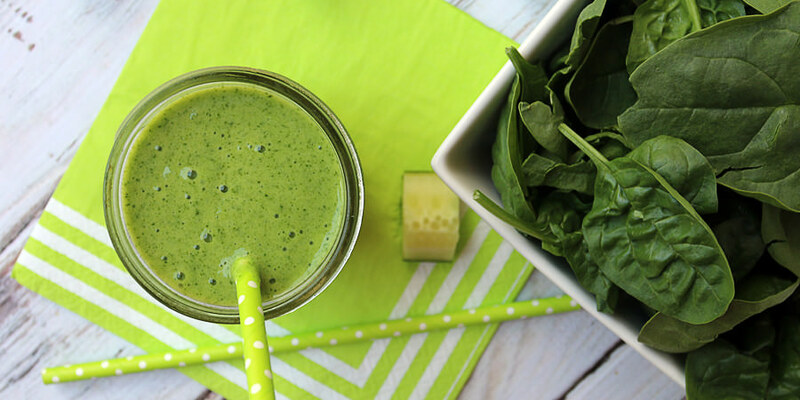 With that in mind, we’re bringing together the delicious flavors of spinach and cucumber into an awesome shake today. 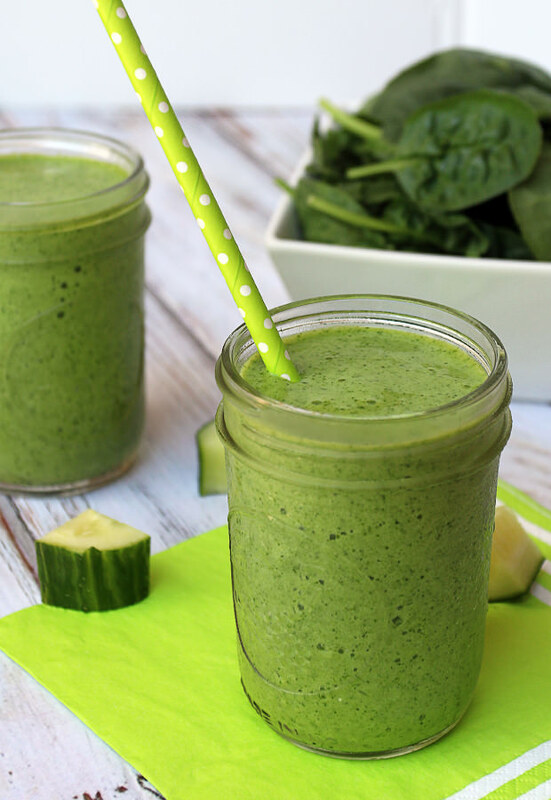 A surprisingly sweet treat that’ll do right by anyone that misses their morning green shake. 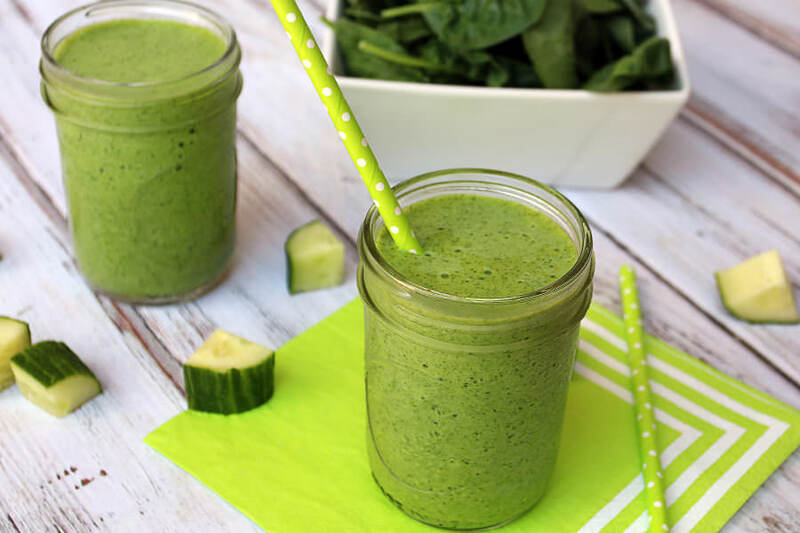 Packed full of micronutrients and fats, you’d never know that spinach was the main ingredient in this one. The shake overall is delightfully refreshing and crisp, especially during fall when you think of the deep and rich flavors of pumpkin, cinnamon, and all spice. It’s almost like a palate cleanser for the morning – but you could drink it pre-workout, post-hangover (we’ve all been there) or if you live in a hot place like I do, a hot summer’s day snack. Yesterday’s shake had a lot of questions on why we’re using MCT Oil in the shake. We use MCT (medium chain triglyceride) Oil because of its ability to stay liquid even when chilled, and the fact that it’s 100% MCTs. MCTs have been shown to aid in fat loss, and oxidize differently in the liver than regular oils – directly into ketones which gives us energy right away. If you were to use coconut oil (which is only 60-70% MCTs), it would harden up and little bits of fats would be floating around in your shake while you drink it…doesn’t sound too appetizing, does it? What green shake do you miss the most? Let us know in the comments below! 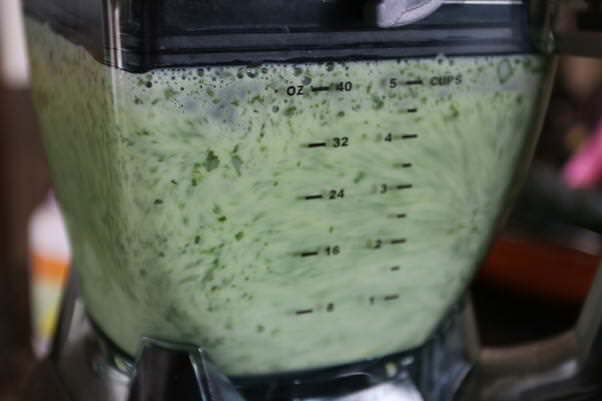 Yields 1 Servings of Cucumber Spinach Smoothie. 1. This one is super simple to make and you’ll have it ready in just under 5 minutes start to finish. Grab 2 handfuls of spinach and toss them in a blender, then add 7 ice cubes, 1 cup coconut milk (from the carton), 12 drops stevia, 1/4 tsp. xanthan gum, and 1-2 tbsp. MCT Oil. Peel the cucumber and cube it, and put that over the top. I’m using a ninja blender with the mini-ninja attachment and absolutely love it. 2. 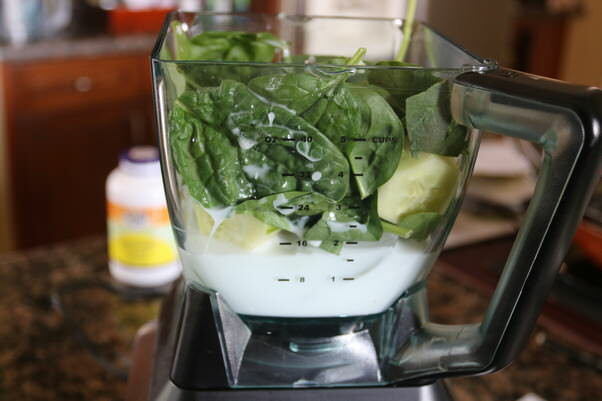 Blend the shake for 1-2 minutes or until all of the ingredients are well incorporated. You’ll still notice little bits of spinach floating around, but you can’t taste them in the texture, so don’t worry too much! 3. Pour into a nice big glass and take your time enjoying the refreshingly sweet taste! This makes 1 total serving of Cucumber Spinach Smoothie. The totals come out to be 330 Calories, 32.34g Fats, 2.91g Net Carbs, and 10.14g Protein. Add all ingredients to a blender. I'm using a ninja blender with mini ninja attachment. Blend everything together for 1-2 minutes or until the consistency is good for you.